Help Digger, Dumper, and Mixer on a construction adventure! 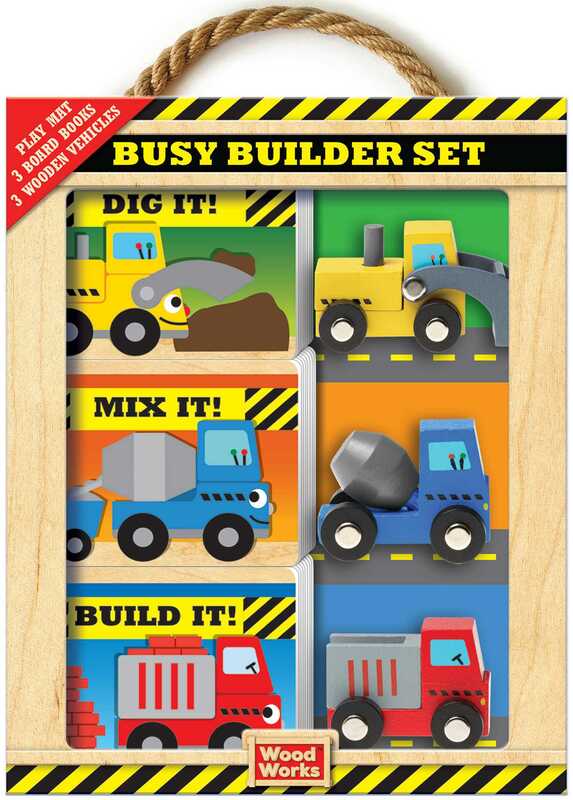 With three chunky board books—plus a rolling wooden digger, dumper, and mixer toys, and a playmat—little ones can read and play along as they build, dump, dig, and mix. Fun rhyming text makes the trucks come to life as they build and help others through the town.